On June 5, 1851, Uncle Tom's Cabin; or, Life Among the Lowly began to appear in serial form in the Washington National Era, an abolitionist weekly. 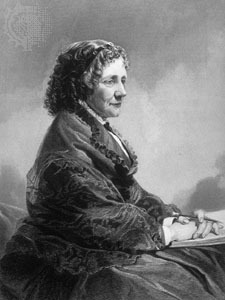 Harriet Beecher Stowe's anti-slavery story was published in forty installments over the next ten months. For her story Mrs. Stowe was paid $300. Although the National Era had a limited circulation, its audience increased as reader after reader passed their copies along to one another. 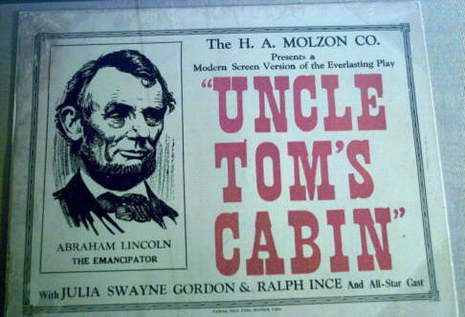 In March 1852, a Boston publisher decided to issue Uncle Tom's Cabin as a book and it became an instant best seller. Three hundred thousand copies were sold the first year, and about two million copies were sold worldwide by 1857. For a three-month period Stowe reportedly received $10,000 in royalties. Across the nation people discussed the novel and debated the most pressing sociopolitical issue dramatized in its narrative—slavery. Uncle Tom's Cabin; or, Life Among the Lowly is an anti-slavery novel by American author Harriet Beecher Stowe. Published in 1852, the novel had a profound effect on attitudes toward African Americans and slavery in the United States, so much in the latter case that the novel intensified the sectional conflict leading to the American Civil War.